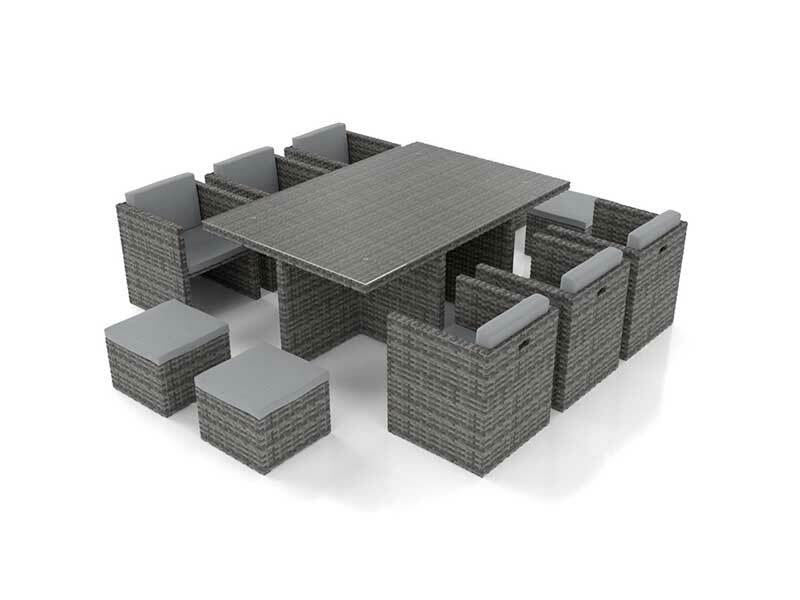 EMMA DINING L – dine in comfort! 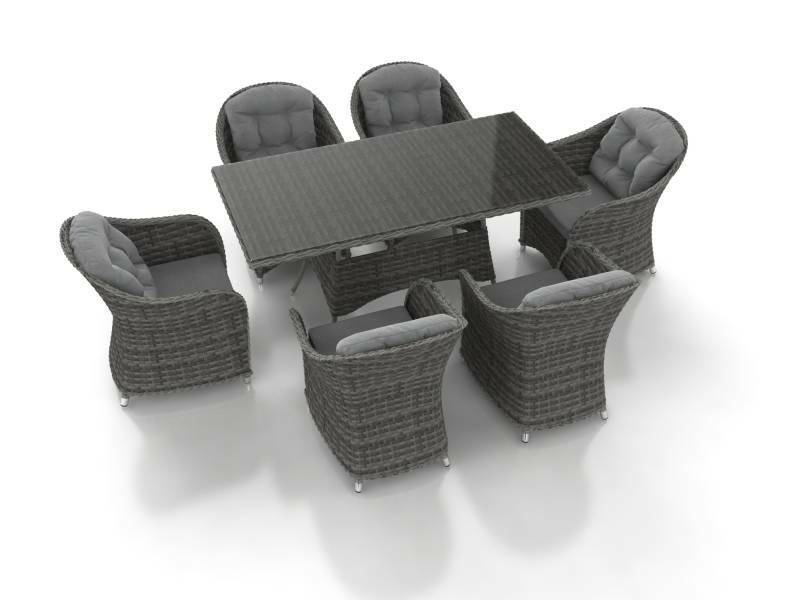 Let us introduce you to EMMA DINING L – our beautiful dining table and corner sofa combination set. 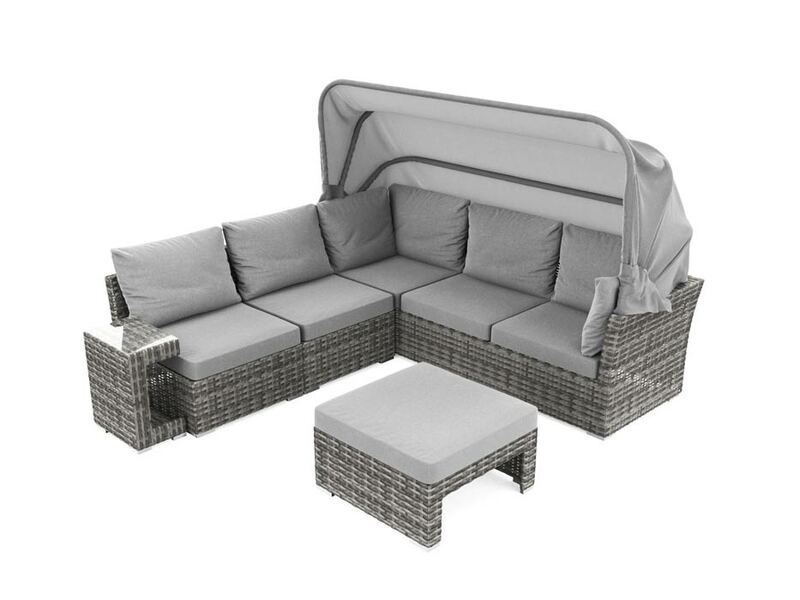 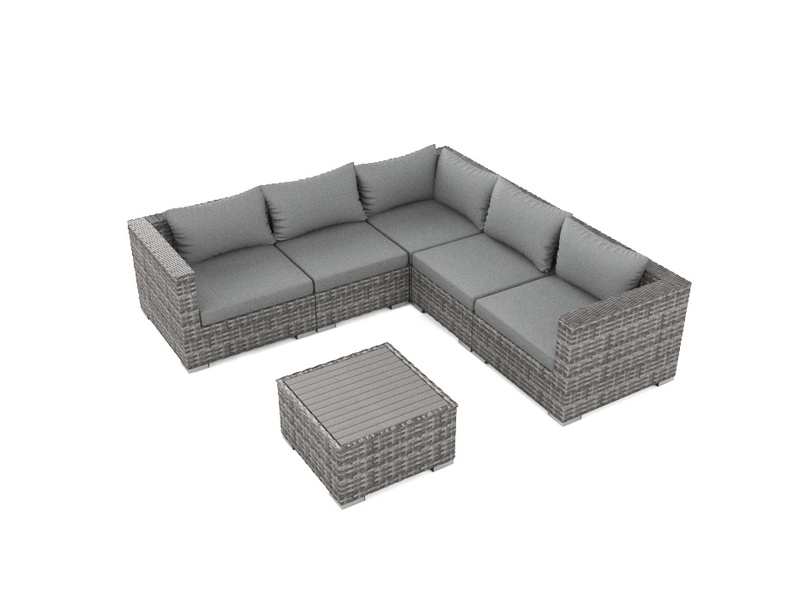 Relax on the corner sofa during the day and pull the table over in the evening for some alfresco dining! 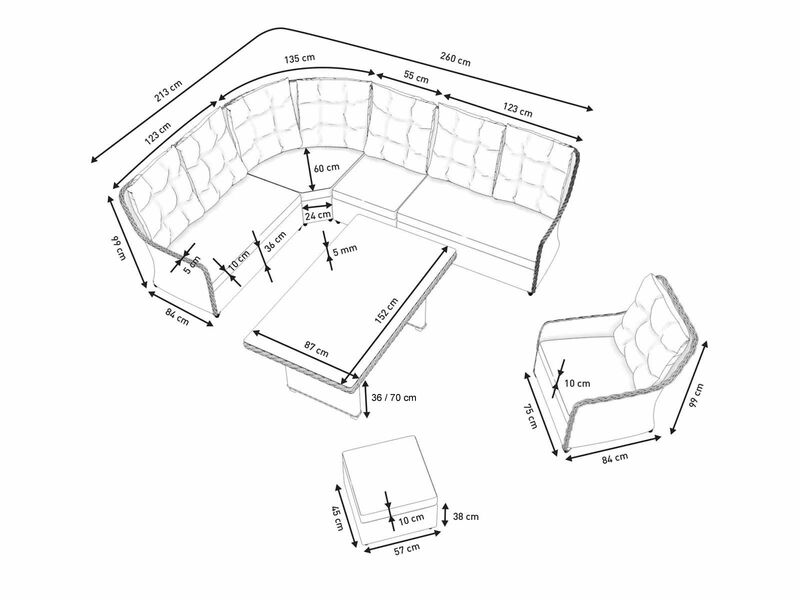 The backrests are higher than average for extra comfort. 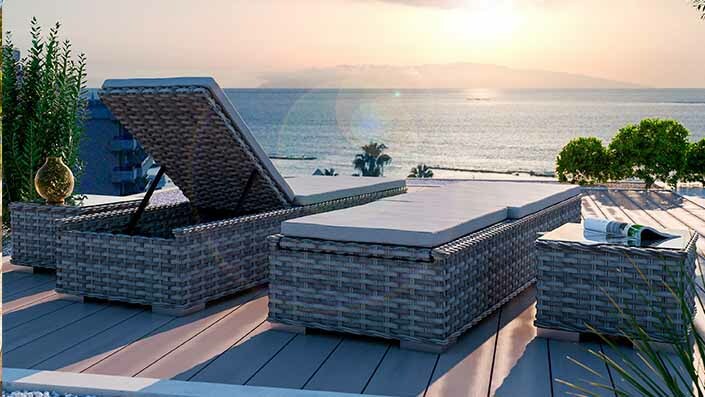 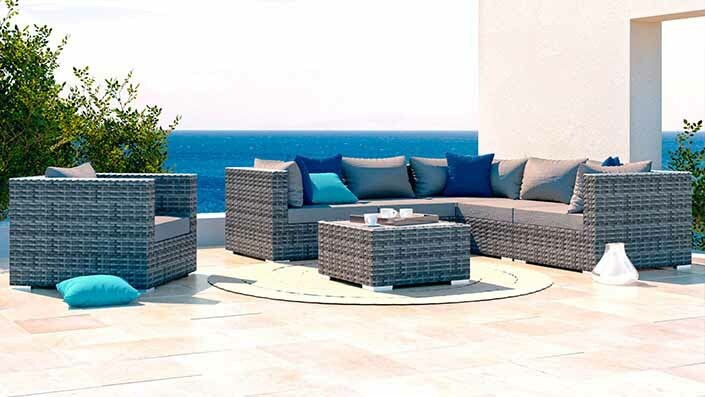 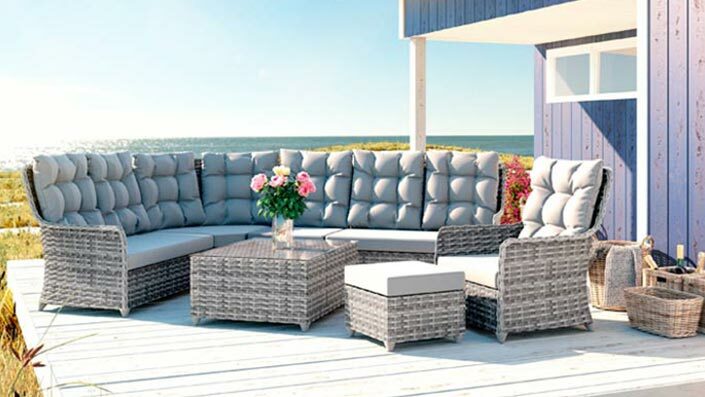 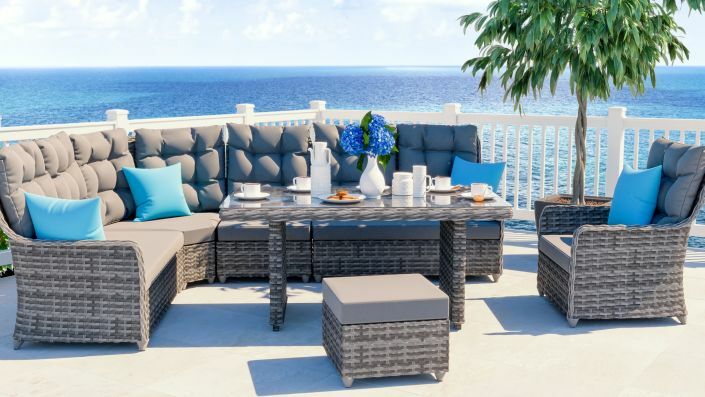 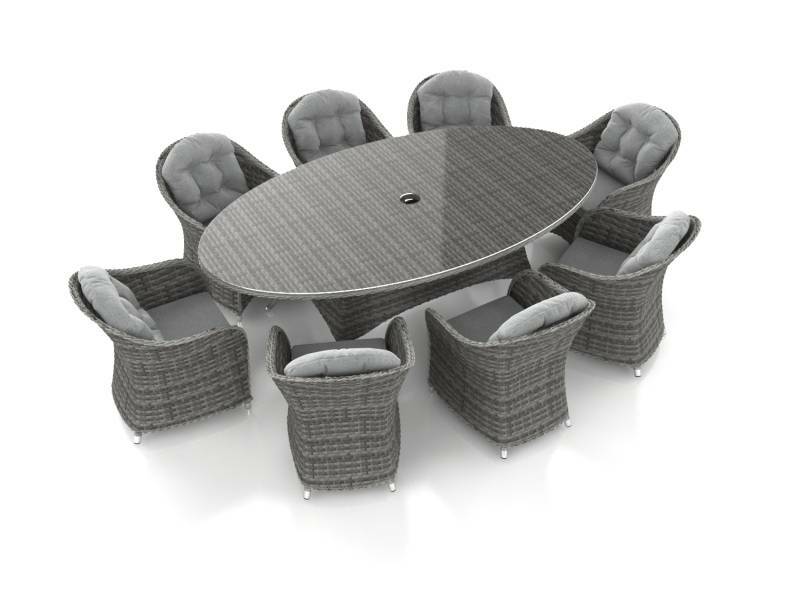 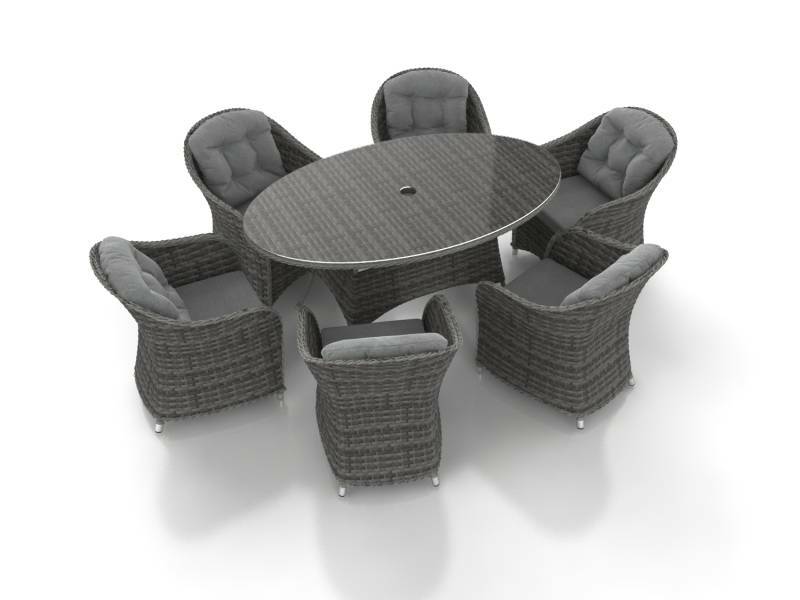 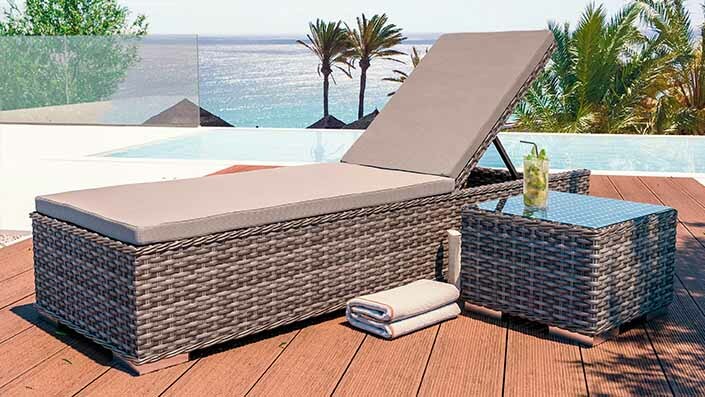 The glass table top is made from 5mm thick safety glass The frame of the set is made from powder-coated aluminium and the synthetic rattan is weather-proof. 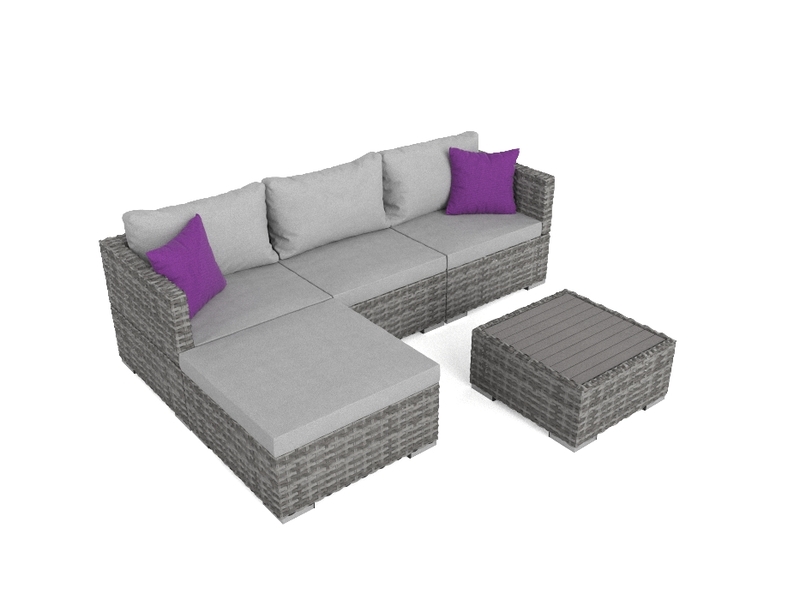 The cushions comply with UKFR (UK fire regulations). 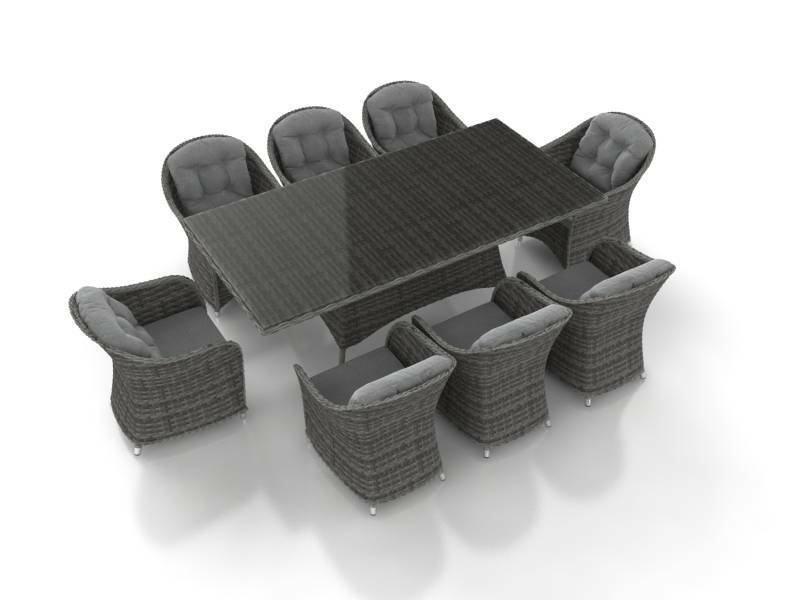 The set comes with four table legs: two 70cm legs for using the table as a dining table and two 36cm legs for using the table as a coffee table. 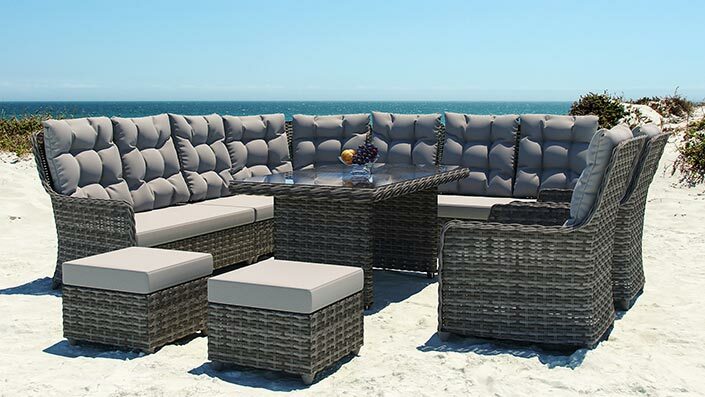 The cushion covers are 100% polyester and the cushion filling is foam.